When traveling to China for the first time, one will be hit with immense culture shock. Before you go, read up on Chinese culture, learn a few basic words in Mandarin, and try to adapt. The locals will be more friendly to you, and hopefully you won’t get this reaction! Beijing - Is a must, you will see world famous historic landmarks and learn so much of China's rich history and culture. But be prepared for the worst air quality you’ll ever experience, you’ll understand why the Chinese walk around with nurse face masks. Chairman Mao - The founding father of the Communist Party of China (CPC) and a national hero in China. You will be reminded of this everywhere you travel across China, there are countless Mao posters, streets and squares named after him, even dishes named after him, and Mao branded merchandise everywhere. He’s one very popular guy. Dragon - According to old Chinese tradition, the dragon is a symbol of strength and power and was frequently used to represent the Emperor. Forbidden City - Is the Emperor’s Palace located directly across from Tiananmen Square in Beijing. The scale of the palace complex is unreal, it consists of 980 buildings and covers 720,000m2 (7.8 million ft2) of land. You think that was enough, the Emperor also had a summer property called the Summer Palace, an even larger property and one of the most beautiful sights to see in Beijing. Guilin - Your gateway to the picturesque and serene countryside in Southern China. Hutong - Meaning "narrow alleyways" typically found in the old quarters of Beijing. The hutongs are full of history and old Chinese tradition. 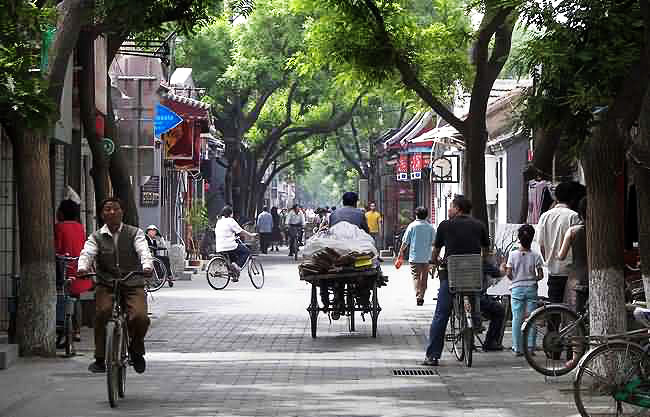 Sign yourself up for a Hutong Tour during your stay in Beijing. Imperial China - The Imperial Era of China has a long history of over 2,100 years, spanning from 221 BC to 1912 AD. China is among the top 10 most powerful empires in history. Jiaozi - Is the Mandarin word to describe all types of Chinese dumplings. Jiaozi is a signature dish throughout China and is something to satisfy every taste palette. They can be found at the street markets and cafes for as little as 60 cents for 10 pieces. Kung Fu - If you have time, bring out your inner Bruce Lee, and book a kung fu lesson (preferably in the park), it’s a great workout and a good sampling of the spiritual and physical discipline required behind this martial art. Li River - Is the river running through the gorgeous countryside village of Yangshuo in Southern China. The sights from the Li River are absolutely breathtaking. Markets - Make sure to visit the street markets in every town you visit in China. They are always buzzing with tourists and locals alike, and it's the best way to sample local dishes for cheap and bargain for souvenirs. Nanjing Road - Is the major shopping promenade in Shanghai. At night, it turns into a futuristic buzzy, noisy, blinking lights fest, like a scene from a sci-fi film. You have to experience this in Shanghai. 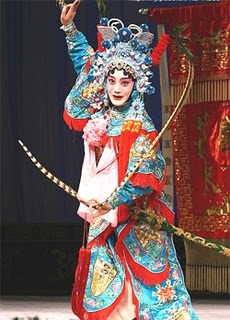 Opera - Peking Opera is a traditional form of Chinese entertainment which used to be strictly for male opera singers. The men would dress up as women and sing in extremely high pitched whistle-like feminine voices-- it’s a bit like drag show but with an actual story line. When in Beijing, try to make time to catch a show, it’s a very unique experience. Pao Mo - Lamb soup famed in the Shaanxi Province. When in Xi'an, you have to try this regional dish, it will make your taste buds do a Chinese folk dance! 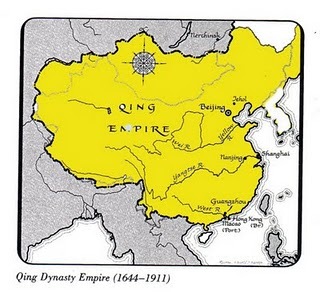 Qing Dynasty - The last ruling dynasty of the Chinese empire, from 1644 until 1911. 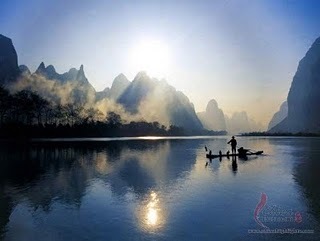 Raft - Bamboo rafting is a great way to take in the magnificent karst mountain scenery of Yangshuo on the Li River. Shanghai - A modern fast paced city filled with contrasts of old versus new, and east versus west. It’s also the financial and business hub for all of China. Shanghai is a city not to be missed on your China trip! Terracotta Army - Burial art made up of 8,000 life sized soldiers created over 2,000 years ago for Qin Shi Huang, the first Emperor of China. Surprisingly enough, this archaeological marvel was excavated only 37 years ago. You can visit the Terracotta Warriors by making a stop in Xi’an in northwest China. Umbrella - Make sure to pack one to shield yourself from the intense sun (as the locals do), and for the unexpected tropical storms you might experience, especially during April - October. Umbrella hats make a great fashion statement in China! 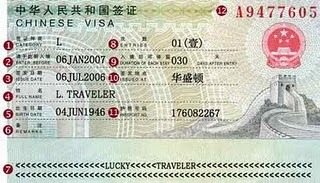 Visa - People from every nation (apart from Chinese nationals) will need one to enter China. Make sure you get your China entry visa before you travel. West Street - The main shopping promenade in Yangshuo. You’re sure to find a nice selection of local gifts to bring back home. But don’t forget to bargain first! Xi'an - A city famed for: the Terracotta Army, the oldest and best preserved mosque in China, the Muslim Quarter market, and the best jiaozi (dumplings) you can find! Zen - One must be in a state of zen when battling the crowds in every single city in China. The country is a lot more populated than you think! Written by Izabelle Durian, world traveler and car blogger at Planes Trains and Fast Cars. You can follow Izabelle on Twitter @iheartfastcars or on Facebook at Planes Trains Fast Cars.